One of the biggest drawbacks of the AR-10 and 308 AR is how much these rifles can weigh. While weight is often a good thing for target shooters it can make the AR-10 and 30 8AR less than desirable for some applications. 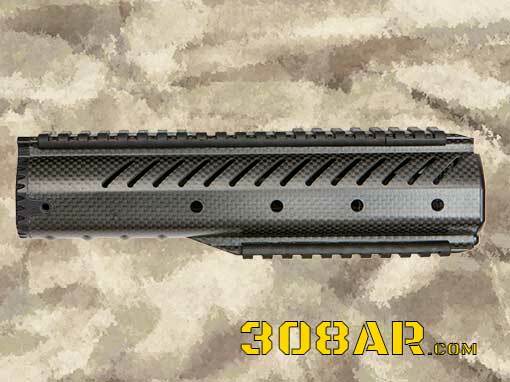 Christensen Arms seems to be one of the few 308 AR barrel manufacturers who seems to be able to consistently deliver a CARBON FIBER BARREL for the 308 AR platform. The barrel is equipped with a DPMS LR-308 compatible barrel extension. If you want to use this an an Armalite AR-10 be sure to use an AR-10 bolt not a DPMS. This 18″ barrel weighs in at 2.3 pounds which is over one pound less than a DPMS 308 SASS Fluted Barrel, 2 tenths of a pound less than the competing Proof Research Carbon Fiber 308 Barrel. Designed using precision engineering adopted from the aerospace industry, Christensen Arms carbon-fiber AR 308 barrels are crafted using a proprietary layered design that offers any marksman superior accuracy and performance. The barrel lining is made from match-grade 416R stainless steel and is measured to a tolerance of +/- .0001. 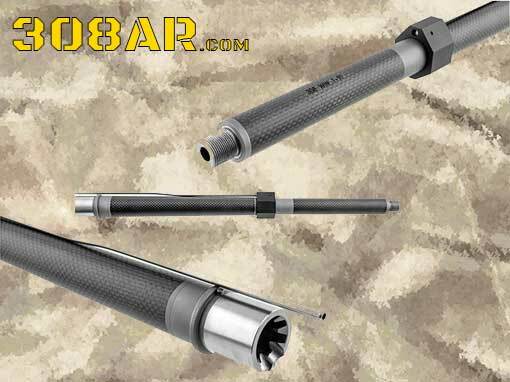 When it comes to accuracy, Christensen Arms carbon-fiber barrels have performance you can trust. Includes gas block and gas tube. At 7.5 ounces it’s hard to ignore this Christensen Arms CA-10 Carbon Fiber AR-10 Mid-Length handguard. This is lighter than any other mid-length handguard I am aware of. View the video here.